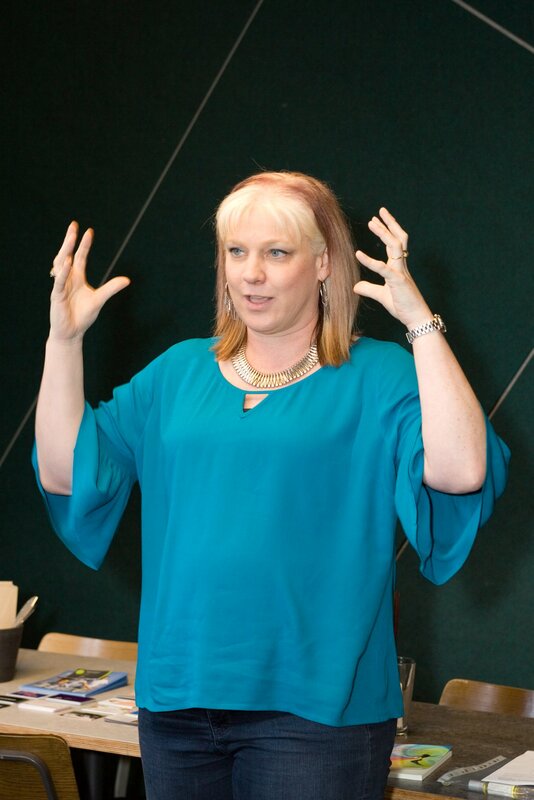 Workshops and speaking engagements are available for the Corporate Sector, Schools and other Groups. 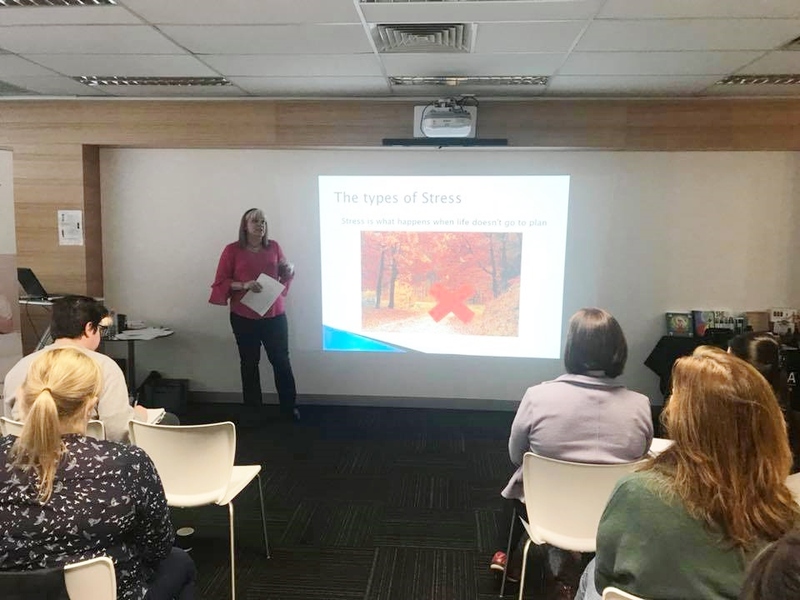 In this interactive workshop Carolyn explains the effects of stress and how it affects the brain and its ability to think. There are then practical exercises that everyone can implement in their lives to create a balanced and integrated brain. This then flows into a more productive and creative work environment. 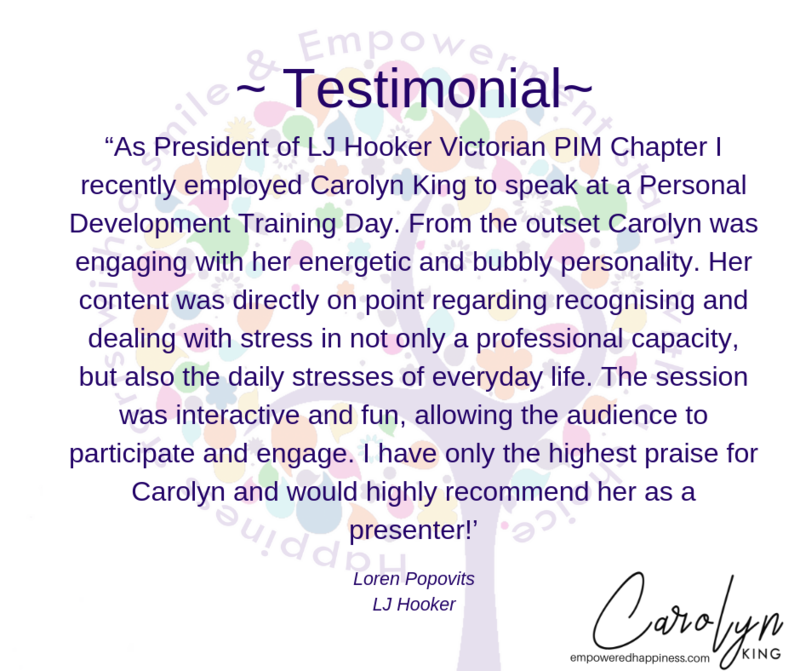 In this interactive workshop Carolyn explains the importance of looking after yourself and together everyone creates a Self-Care plan that they can take with them and integrate into their life. In this workshop Carolyn explains the benefits of meditation and also the many different types of meditation. She can then take you on a journey through a guided meditation so that everyone can experience the benefits first hand. Carolyn is a member of The Prominenti Society. Click here for further details. Please contact Carolyn on 0402 145 342 to make an appointment. Skype sessions are also available. Contact Carolyn at Carolyn@EmpoweredHappiness.com for packages available.